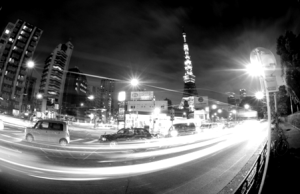 Nominee directors are local resident representatives (who are either Japanese nationals or legal residents of Japan) that enable international companies to operate and do business in Japan. Though Japanese law no longer requires nominee directors for the formation and operation of international corporations, the advantage of native expertise can often make the difference between success and failure. As a representative of your company, the nominee director is a valuable liaison to Japan’s banking, business, and regulatory institutions. With their native knowledge and understanding of local laws and requirements, you can focus on running your business without the risks and drawbacks of costly oversights. Acquiring legal residence is of paramount importance, especially if you want to establish the future of your business in Japan. Due to the new requirements enacted on July 2012, obtaining a long-term visa has become more complicated for most international business investors. 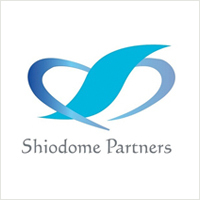 Fortunately, Shiodome’s Visa application specialists can handle the assorted details and requirements that can hinder the approval process of your investor/business manager visa. •Organizing and implementing the incorporation process—the Nominee Director will provide all required documents to the Legal Affairs Bureau and handle all follow up inquiries by the authorities. •Establishing bank accounts—Most Japanese banks still require international companies to have a resident representative before accepting a bank account application. •Investor/Business Manager Visa application assistance—Our Nominee Directors are experienced with the visa application process and can file the necessary forms and documents correctly and efficiently for you and your staff. The Nominee Director will explain the process, responsibilities, and requirements, so you can eventually take over the Director position in your company once your Investor/Business Manager visa is approved. The Nominee Director will resign as soon as you obtain your long-term resident status and are ready to assume all the responsibilities the role requires. To further assist with your company’s eventual transition, we also offer complementary corporate services such as multilingual (Japanese/English/Chinese) accounting and tax services, Human Resources, Incorporation, and Payroll Calculation services. What are the advantages provided by our Nominee Director Services? Convenience is a simple yet meaningful benefit, because it directly impacts your ability to do everything else. Delays can make you lose time, and lost time means lost opportunities. In today’s evolving international business climate, lost time and opportunities can condemn a corporation to failure before it is even established. With our Nominee Director service, you can launch your business or subsidiary without having to wait for your Investor/Business Manager visa. The appointed Nominee Director will serve as your qualified operational liaison and representative to all relevant business, banking, and legal entities, so you can build and establish your company as soon as possible. This enables your company to lease an office, hire employees, open a bank account, and even frees you to leave Japan at your convenience as the incorporation process is being completed on your behalf. If you are looking to launch your business in Japan and would like to know more about our Nominee Director service, you can contact us at inquiry@shiodome.co.jp, submit a Contact Request Form, or call our Tokyo office at 03-6228-5505 (+81) during normal business hours.